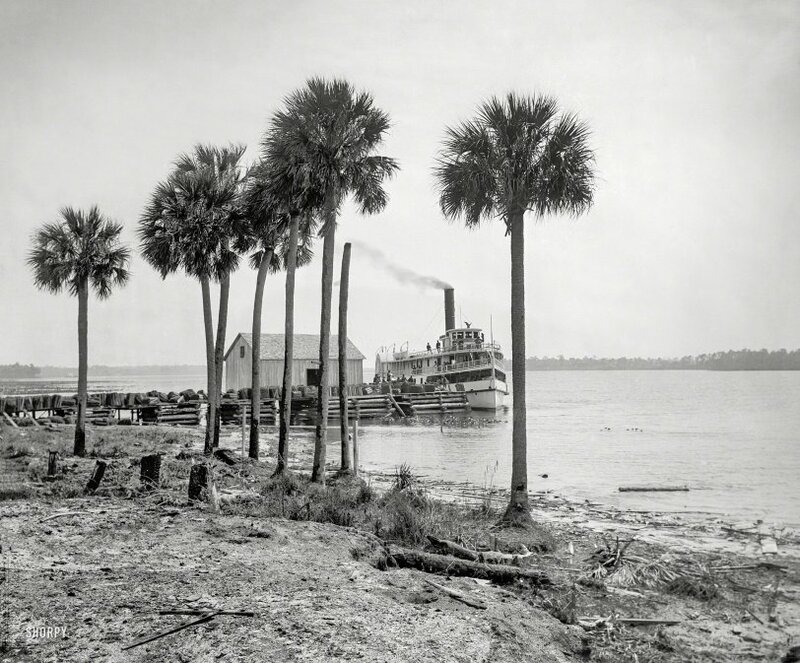 Florida circa 1897. 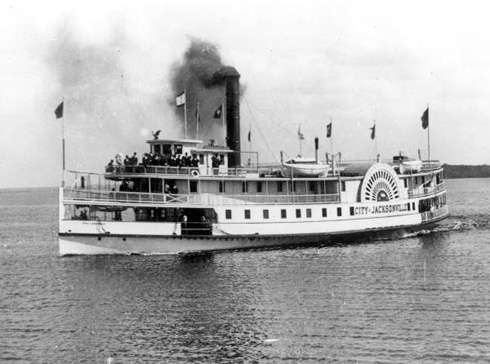 "Sidewheeler City of Jacksonville at Beresford on the St. Johns." 8x10 inch glass negative by William Henry Jackson. View full size. Submitted by Mack W on Tue, 05/12/2015 - 2:03pm. Just such moss was the source of a fire that destroyed much of the city just 4 years after this picture was taken. Submitted by MaltedFalcon on Tue, 05/12/2015 - 1:08pm. 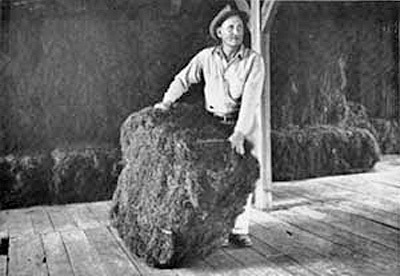 I'm pretty sure what you thought was bundles of roof shingles was actually bales of Spanish moss. Between 1900 and the 30s Spanish moss was produced by southern states like Florida, Lousiana, etc. and shipped north to be used as stuffing and packing material and such. Submitted by Maogwai Cat on Tue, 05/12/2015 - 5:50am. Is about 130 miles South of downtown Jacksonville, near Deland. 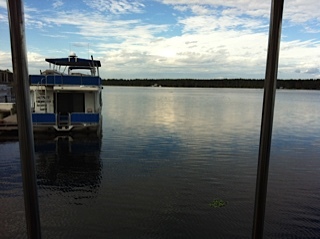 Photo from Lake Beresford Yacht Club dock. Submitted by 1sttofight on Tue, 05/12/2015 - 3:02am. Are those roofing shingles on the dock? Submitted by JohnHoward on Mon, 05/11/2015 - 6:35pm. Looks to me like a sternwheeler. Rather 'shortsighted' of me to overlook the back half of the boat.